Are you as obsessed with the show Fixer Upper as I am? 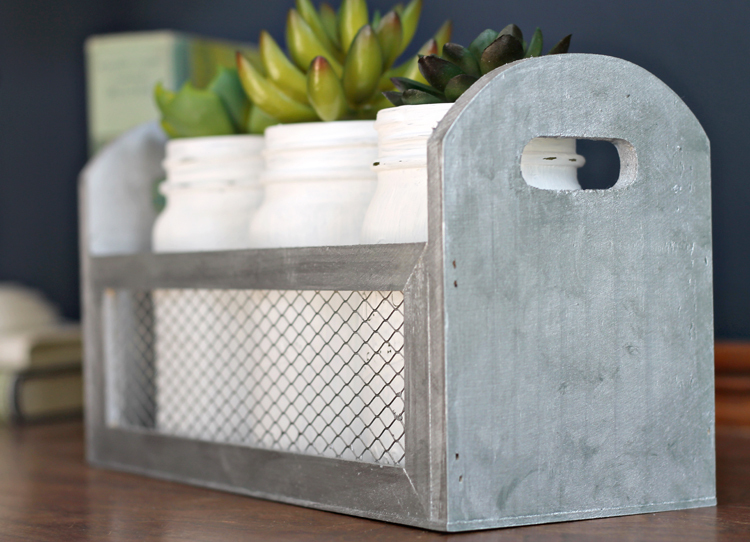 I am a major farmhouse style lover! 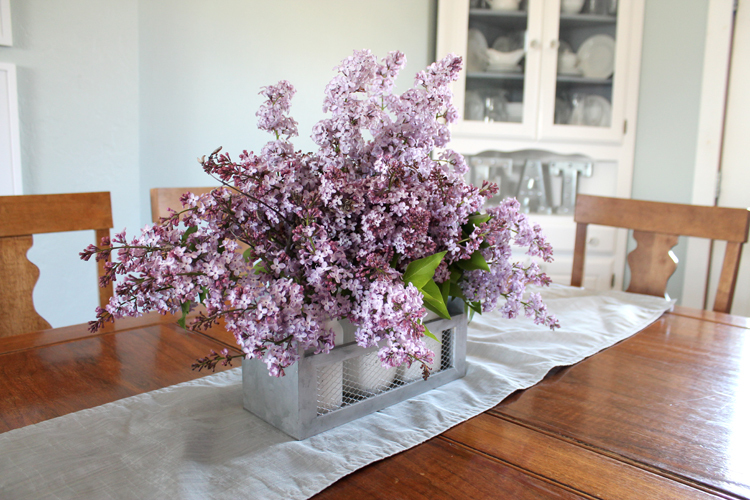 I also love having places to display flowers and greenery in my home, whether real or fake. 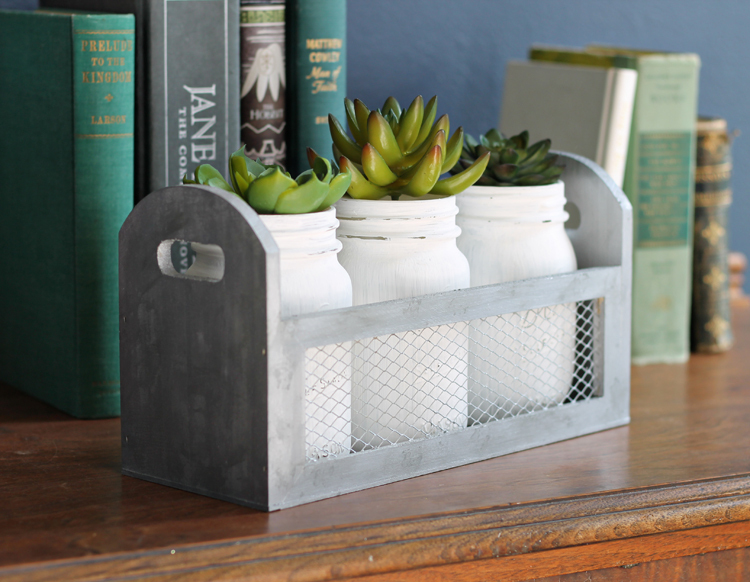 Combine the two loves and you get this farmhouse style mason jar planter. 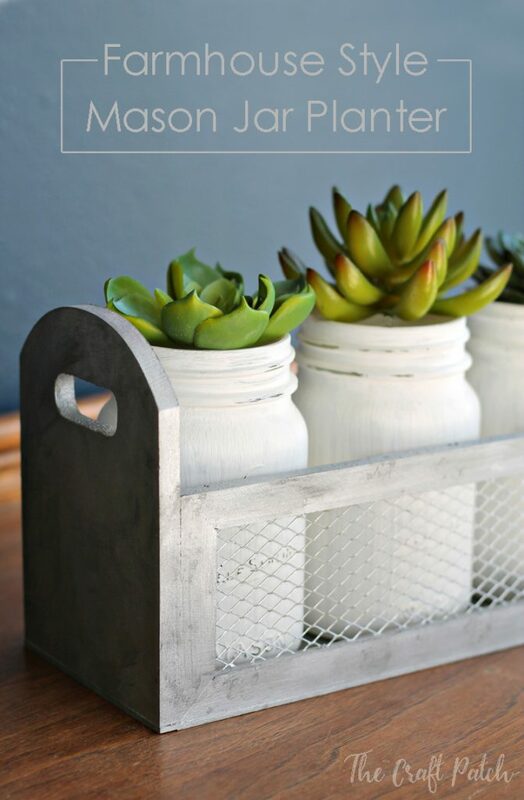 I’ve been using it as a dining room table centerpiece and as tabletop decor in my entryway and it is just so darn cute. 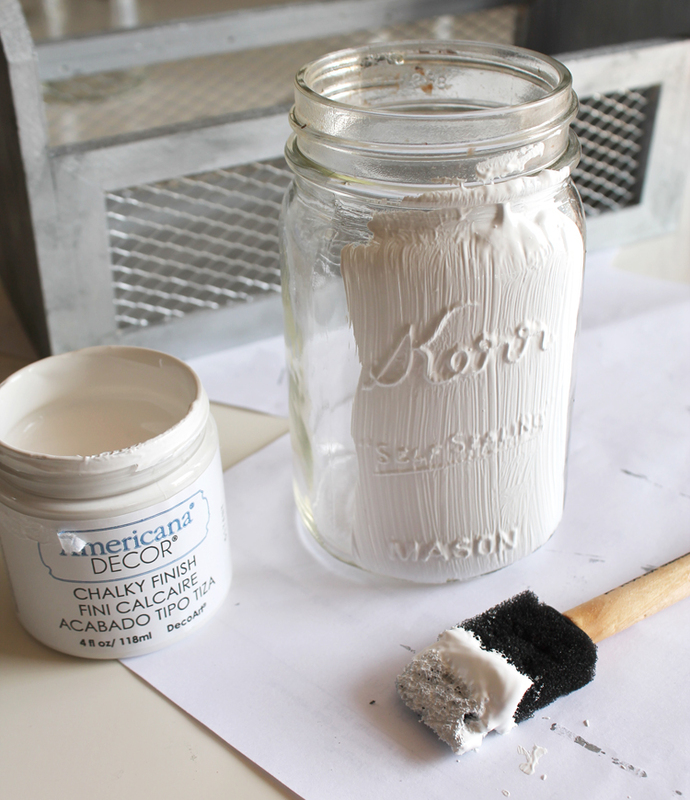 Start by painting the mason jars with the white chalk paint. It takes a couple of coats to get good coverage. 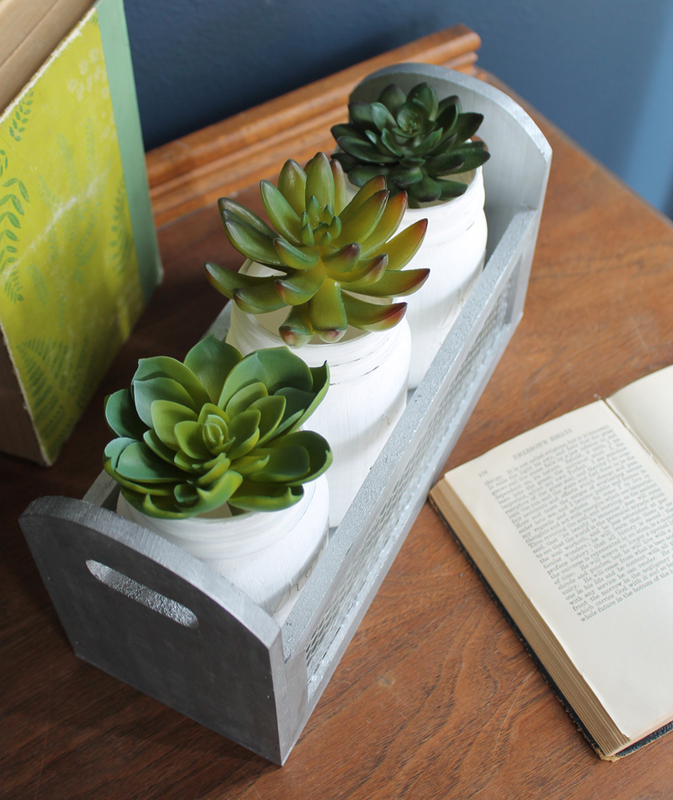 Paint the entire planter box with a coat of metallic silver paint. This may also take two coats to get complete coverage. 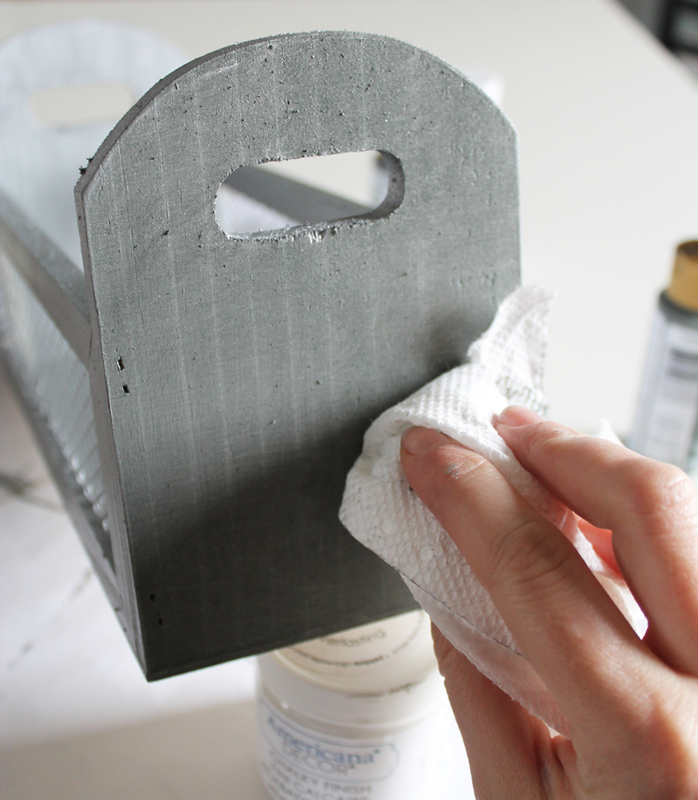 When the base coat of metallic paint is dry, dab small amounts of gray paint over the metallic paint using a paper towel. 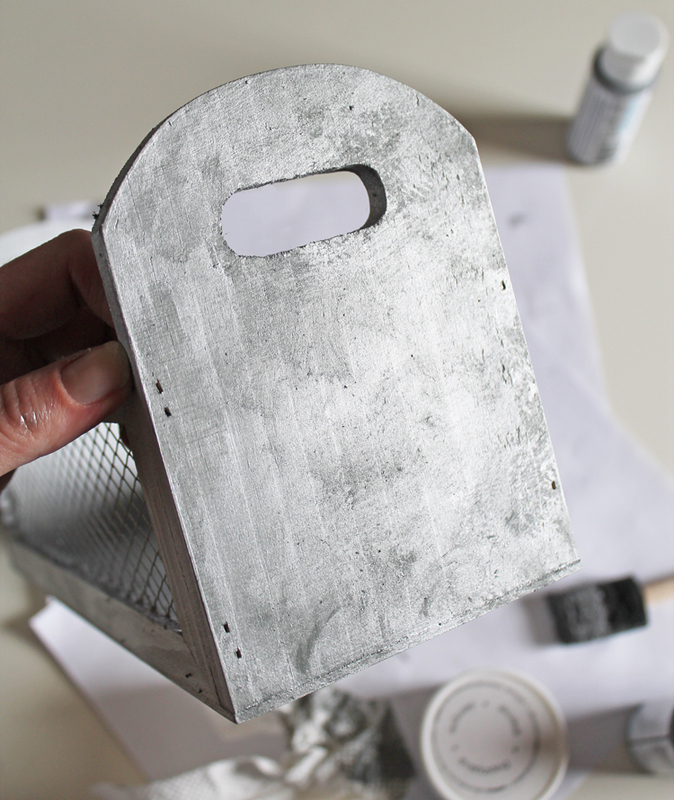 This gives the project that weathered metal look. 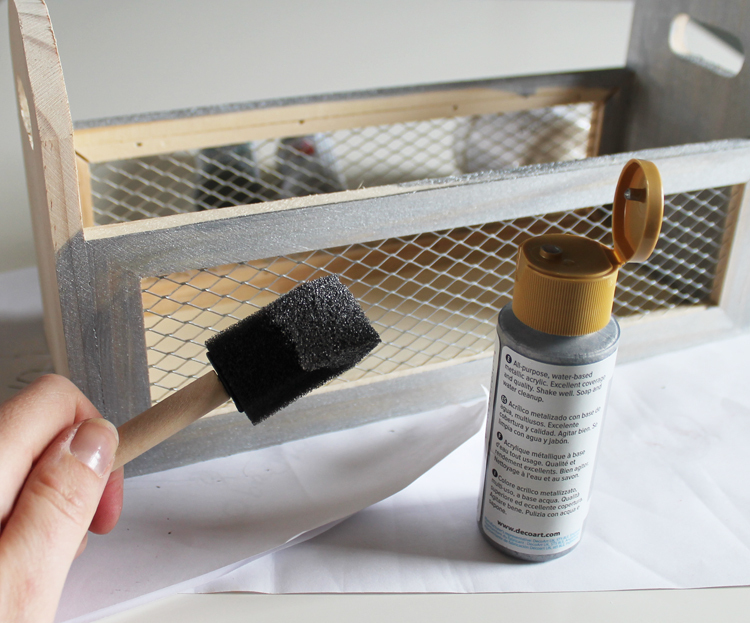 If you apply too much gray paint, go over it again with more metallic. Continue layering paint until you have achieved a look you like. 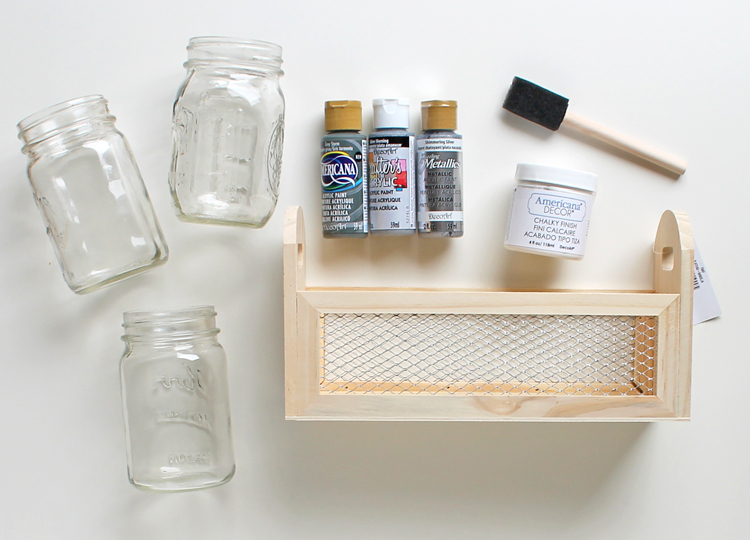 Where do you get the wood and chicken wire box? I included the link in the materials list above. Just click on the words "wood and chicken wire box" and it will take you to the store where I purchased it online. Did you usever artificial flowers or real? I have used both. 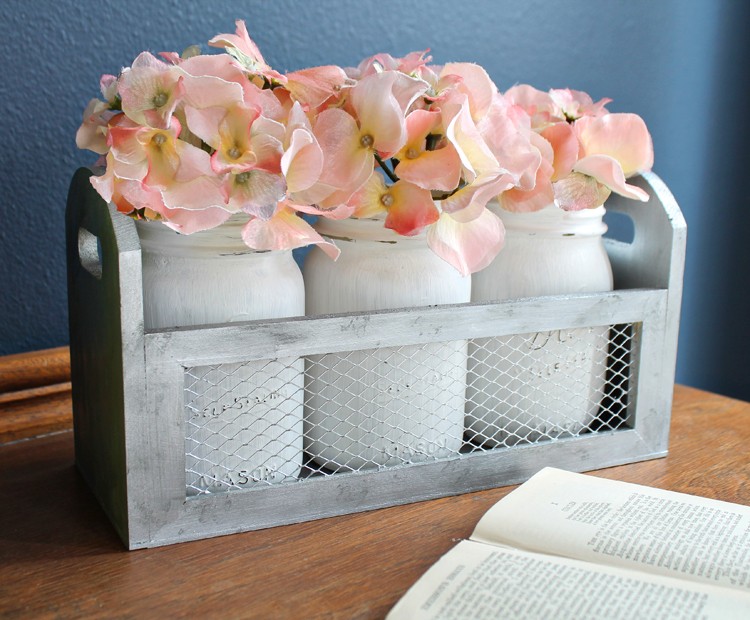 With real flowers, I just fill the mason jars up with water to keep the flowers fresh!